CHARLOTTE, NC (WBTV) - Today has been a much quieter day than yesterday! Fortunately, we don’t have to give this nice weather up just yet. Tonight will be chilly. Many of us could dip briefly to the upper 30s. That’s jacket weather for kids heading to the bus stop! They won’t need it all day long though. 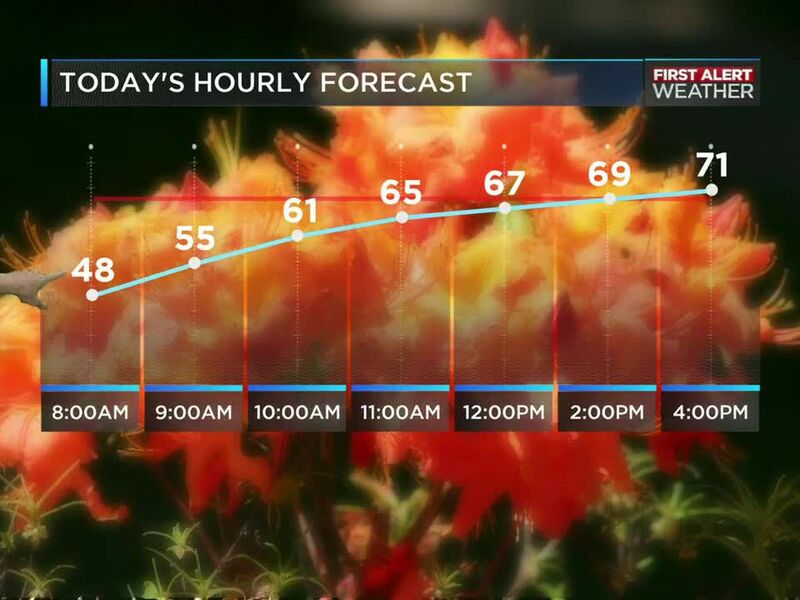 We reach the low 70s in the afternoon and remain dry. Wednesday and Thursday will be noticeably warmer. Highs will reach the low 80s. Friday is the next active weather day. (So enjoy the break until then.) That is when the next cold front moves through and brings rain and possibly thunderstorms. The best news is that Easter weekend looks mainly dry for now. 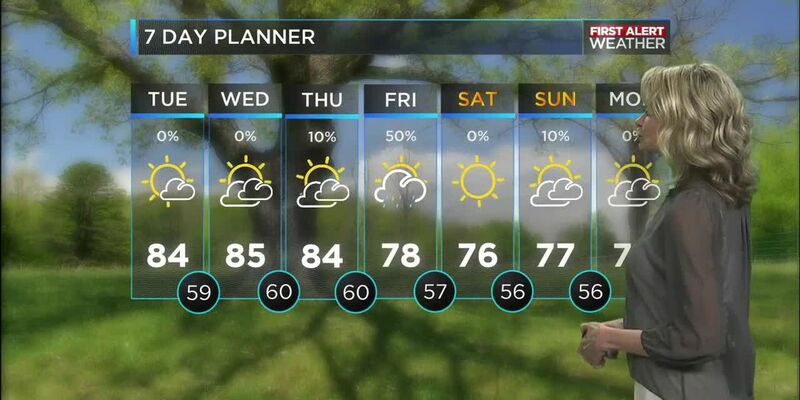 It will be cooler – with highs in the upper 60s to low 70s but the rain should be out of here. Expect blazing sunshine and blue sky through the midweek and not giving way to clouds and rain until… you guessed it… Friday!